From the coastal shores of the mind, by way of the Midwest, comes High Tides, the hazy synth duo of Warren Kroll (Forrest, Dorosoto) and Steven Lutes (Mall Security, Kontyx). Launched in 2011 as an offshoot of their sleazy, acid-electro collaboration as The Red Falcon Projects. High Tides debut album dives deep into the warm faded memories of yesteryear’s romantic getaways to tropical resorts and endless sun-kissed beaches. 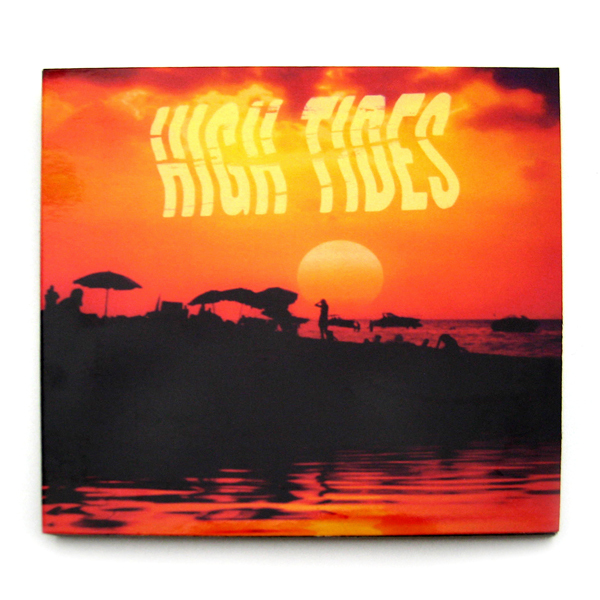 From the opening track 7 Mile Beach to the album closer The Sunset Tanz, the High Tides story unravels like a distant memory through lush detuned synthesizers, bobbing bass lines and shimmering downtempo beats. Highly recommended for fans of BOC, Freescha, Casino Versus Japan and Black Moth Super Rainbow/Tobacco. Released in conjunction with Tobacco’s RAD CULT label, This limited edition CD comes housed in a 6 panel fold-out digipak case, featuring a slide show of bonus internal imagery not included on the original LP version. limited strictly to 100 physical copies. For audio samples, Vinyl, T-shirts and Digital versions, head over to Rad Cult’s bandcamp site here!